Apartment in the center of Javea with a lot of potential. Complete renovation proyect. Four large bedrooms, 2 bathrooms, one en suite. Spacious dining room connected to a large balcony. Kitchen with Gallery for laundry. Apartment on the second floor with lift. One bedroom apartment in Javea Old Town. It has one bedroom with the possibility of conversion into two bedrooms. Conveniently situated close to all amenities of Javea town. There is a garage and a storeroom available. 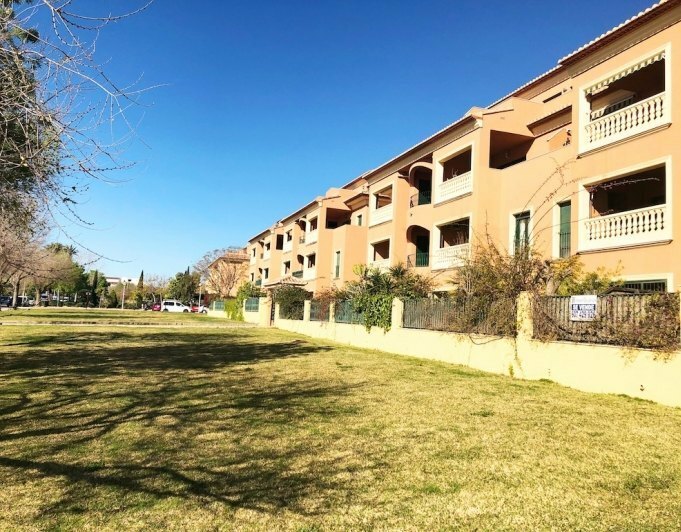 This bargain apartment all on one level features 3 large double bedrooms with built in wardrobes, two full bathrooms and ample kitchen as well as a spacious living and dining area with terrace enjojying beautiful montgo views. Second floor with lift. Storage room included in the price. The property is situated walking distance to to all amenities and the old town. Apartment for sale close to the beach in Javea, situated on second line to the sea front. One of the prettiest urbanizations and walking distance to the sandy beach and all amenities. The ubanization has wonderfull gardens and swimmingpools, a gymnasium, sauna and meeting room. The apartment comprises of a lounge diner, kitchen, terrace, 1 double bedroom and 1 bathroom. Great quality construction with underfloor heating and air conditioning. Apartment for sale in Javea. Located in the best area of the town and with all services like bars shops and restaurants in walking distance. It has a very spacious and bright dining room which opens onto a lovely balcony. The property features a fully kitchen with breakfast area and kitchen hatch opening onto the dining room. The kitchen also features attached a utility area. The property furthermore consists of three large double bedrooms with the master featuring an en suite toilet and a additional family bathroom. Both bathrooms ahve recently been completely refurbished and practically new. Apartment in Javea for sale with sea views. The apartment is located in the area of the second Montañar, close to the beach and all the services. The apartment comprises a living room, an open kitchen, a double room, a bathroom and a terrace with beautiful views of the Mediterranean Sea. In public areas we can enjoy a swimming pool, a large garden and tennis court. Apartment in Javea for sale, close to the port and the beach. The apartment is ideal as an investment to live all yearround or holiday rentals. It consist all in one level, a double room with wardrobe, a bathroom, kitchenette and spacious living room with a large terrace South facing. In the community area, you can enjoy a spacious garden, outdoor and indoor swimming pool, a gym and squash court. The price includes parking place. 3 bed apartment for sale walking distance to the beach. This apartment has been refurbished to high standards, situated on the 1st floor without a lift. It consists of 3 double bedrooms, one bathroom, kitchen and living/dinning room. Features double glazed windows and off road parking space. Great apartment for someone looking for a rental investment or a holiday home 100m to the beach. Situated on a quiet residential street just six minutes walk from the Arenal. Located in a quiet building with only 3 neighbors and only an apartment on each floor. This Super penthouse has fabulous panoramic views to the sea, you can even see both capes, but also has a beautiful view of the Montgó. In addition one of the terraces is glazed in order to enjoy the views also in winter. The House is distributed in a large and bright living room with terrace, kitchen, a bathroom, a toilet, two bedrooms with a balcony and a single bedroom. It has all services around because it´s located in the urban area but it is just a 10-minute walk from the port of Javea. Good investment if you want to rent, with those panoramic views will be rented quickly. Call us for a visit. Apartment for sale in Javea in the Centre of the port, walking distance to all services and the gravel beach. Second floor consists of lounge diner, kitchen, 2 double bedrooms, 1 bathroom and terrace. Air conditioning in the living room and master bedroom, doble glazed. Renovated and very good condition. Wide. This is the word that with luminous certainly define this penthouse. In the village of Javea, surrounded by all the services and a few minutes from the port and the beach of Javea. All the rooms are large, ther is a fantastic living room, spacious kitchen with utility room, master bedroom with en suite bathroom, a guests bathroom and two secondary double bedrooms. The House is maintained in perfect condition and ready to move into. A parking place is also included in the price. Contact us and we will go to visit it without compromise. Apartment for sale in Javea, completely renovated. Situated in residential area very close to the sandy beach, with gardens, swimming pool, play area for children and a restaurant. Just 5 minutes from the arenal beach and services. Ground floor apartment, comprises of lounge diner, kitchen, 2 bedrooms, 1 bathroom, air conditioning, glazed naya and garden. Parking.